Mid size unit. Suitable for trucks and ideal for 2 or 3 people on holiday. Perfect size to fit into a car boot or under a tonneau cover on a utility. Auto switching between 12/24V DC and 240V ac. Note: Add an extra 83mm to external width to include handles. First price shown is recommended retail for fridge only. 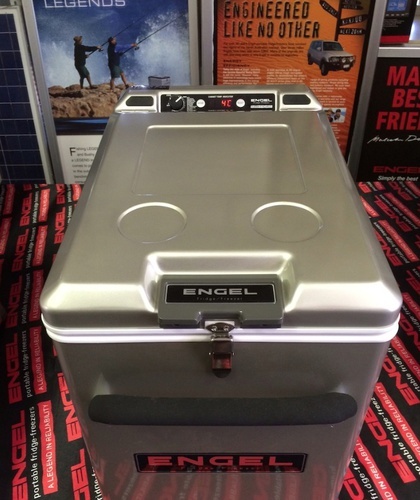 Price: $1299.00 RRP Engel fridge only. $1195 with genuine Engel Transit Bag valued at $226 included Free of Charge. Phone or Email for your Special Price.